With October already in full swing, Google’s upcoming media event is just a few days away. Set to take place on October 9 in New York City, Google next week is expected to unveil a slew of compelling new hardware, including new updates to its Pixel line, revamped tablets, and more. While Apple dominated the tech news cycle in September with the introduction of its 2018 iPhone lineup, it’s now Google’s time to shine. With all that said, we’ve compiled a list of everything the search giant is expected to unveil at next week’s event. While there may be nothing groundbreaking on the agenda, rumblings from the rumor mill suggest that we’ll see some welcome enhancements to some already stellar products. A few years later, Google is now poised to introduce its 2018 Pixel line, a lineup which will include the Pixel 3 and the Pixel 3 XL. So what can we expect to see? Well, thanks to a seemingly endless number of leaks, there’s not a whole lot we don’t know. 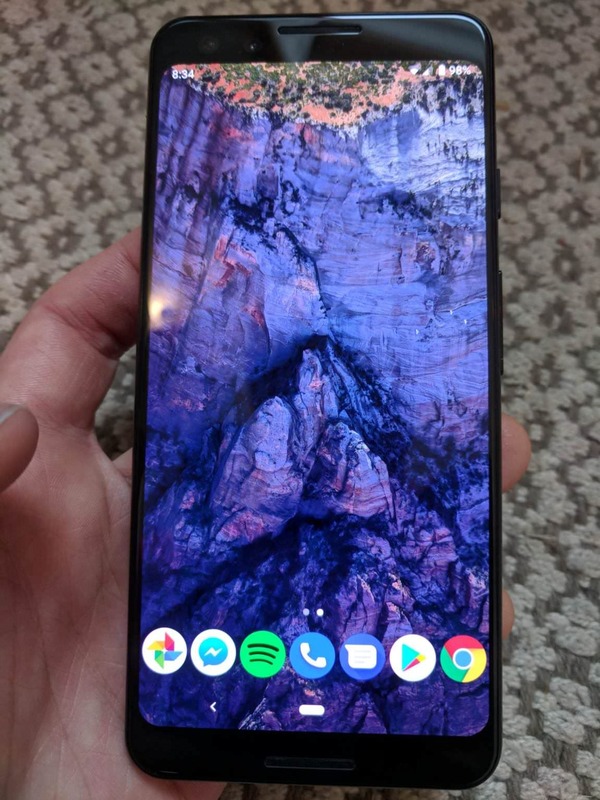 A purported Pixel 3 leak can be seen below. We’ve also seen rumblings that the Pixel 3 XL will ship with Pixel Buds. Pixel 3 and Pixel 3 XL pre-orders are said to open up on October 9 immediately following the event. Price wise, we’ve seen reports claiming that the Pixel 3 will retail for $649 while the Pixel 3 XL will retail for $749. If true, both models would be cheaper than Apple’s iPhone XS which starts at $999. There have also been some vague rumors claiming Google might release a mid-range Pixel smartphone, though we don’t expect to hear much about this during next week’s event. Word of the Pixel Slate’s existence — a Chrome OS tablet hybrid– first surfaced last month. The device will reportedly include a fingerprint sensor and a leaked marketing image (allegedly) can be seen below. Additionally, rumor has it that the device will boast the same resolution as the Google Pixelbook, will include one USB-C port, and will have memory configurations of 8GB and 16GB. Details regarding the Pixel Slate’s release date and pricing have yet to leak, so we’ll likely have to wait until the official Google event to learn more. Not much detail here, but there have been scattered reports indicating that Google next week will introduce a new wireless charger dubbed the Pixel Stand. Hopefully, in stark contrast to Apple, this one will actually see the light of day. Some other items we might see Google announce include a next-gen Chromecast, and a Smart TV kit which includes a Chromecast and a Google Home Mini (and has leaked repeatedly in recent days).